Hey guys! 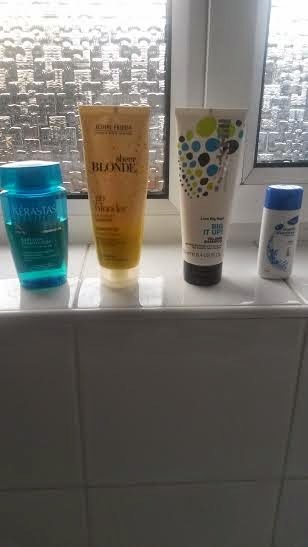 It's been a few month I think since I started my little favourites and I haven't done one since, so I thought I'd show you some more of my favourite things, this month, my favourite shampoos! 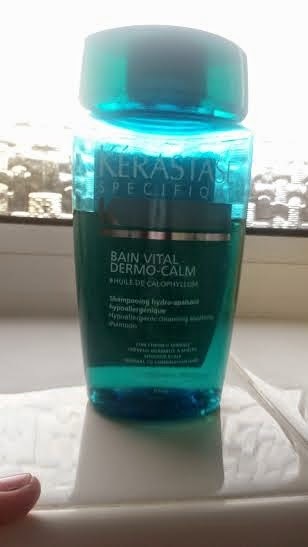 Firstly is Kerastase's Bain vital dermo-calm which I've been loving a lot, it smells so nice and it makes my hair really soft. This is really good for sensitive or itchy scalps! 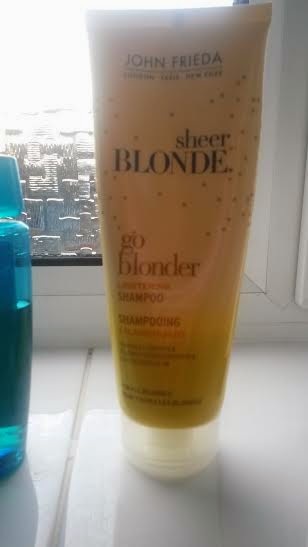 John Freida's Sheer blonde go blonder is my all time absolute favourite shampoo, I use the matching conditioner too and I've used this for a few years now! J'adore. 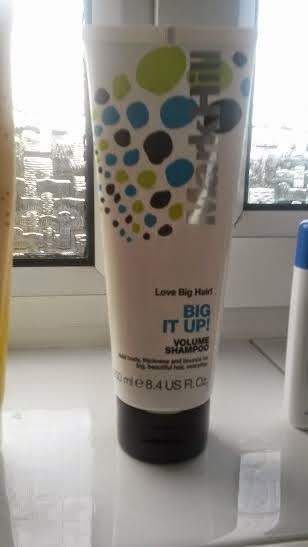 Thirdly we have Big It Up by Mark hill which I'm not using at the moment but this is perfect if you're like me and your hair gets a little flat and you need more volume! It also smells divine! 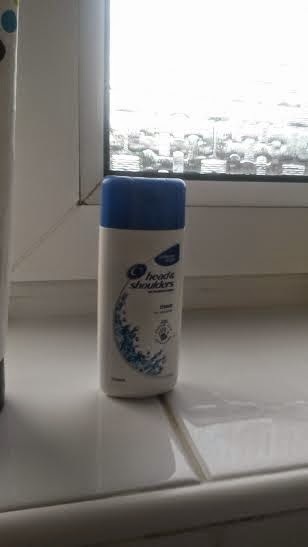 Finally I have one that every one has in the bathroom somewhere, head and shoulders classic shampoo. I have a tiny bottle for holidays and travelling and I usually always have a bottle of this in stock even if I'm not using it. Nearly everyone's go to product!